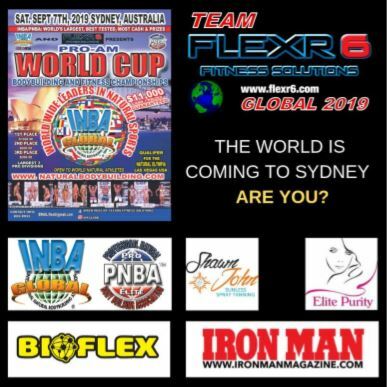 Flexr6 has been contracted by INBA PNBA GLOBAL to promote the INBA PNBA GLOBAL PRO/AM WORLD CUP in Sydney, Australia. Venue: To be confirmed – it will be in the Sydney Central Business District and in a luxury hotel that provides accommodation. This will be an amateur and professional event that will attract athletes from around the world. 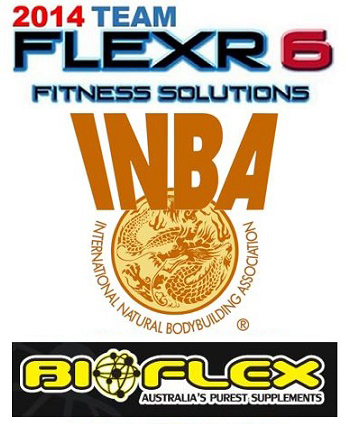 This event will be an automatic qualifier for the INBA PNBA GLOBAL PRO AM Natural Olympia, regardless of placing. This event is also a part of the PNBA Elite World Tour. We will award PNBA PRO qualification to athletes from 12 separate categories. The three largest professional categories will be awarded cash prizes. The event is open to all amateur and professional competitors from all federations. This will be a drug tested event. Iron Man Magazine will be there to cover the event. PNBA PROS will receive complimentary airport transfers to the host hotel.